Is it Possible to Learn a New Language While Sleeping? This is a topic that makes many people curious for many reasons. Some methods out there claim to teach you a language while you sleep, and many people try them because it sounds so great! We agree, learning a language while you’re in dreamland sounds like… a dream (yeah, I know). We are busy individuals and we sleep through about a third of our lives. This time seems wasted, so wouldn’t it be great if we could just listen to our target language during sleep and wake up fluent? I think it’s pretty safe to say that it’s not quite that easy. But is learning while sleeping a complete myth or can it be used to some extent to learn languages? 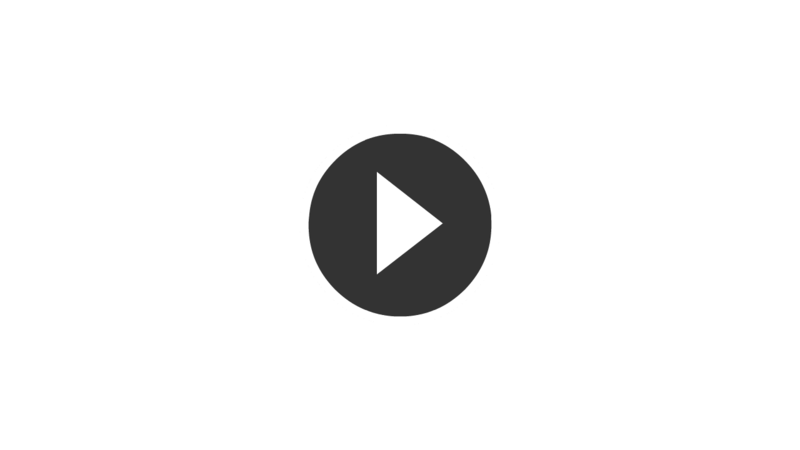 In this post, we’ll go through our own experiences and observations of sleep learning, but keep in mind that we’re also strong believers of the whatever-works-for-you-is-awesome mentality. Scientific research is still limited on sleep learning. However, the evidence we have so far seems to indicate that it’s nearly impossible to learn new things while we sleep. If you listen to words you have never learned before, it’s hard for the subconscious to learn them. Listening while you sleep is very passive; the brain does not seem to make associations and deductions to try to learn words from context. For almost everyone, learning new words from scratch while you sleep is a lost cause and will most likely be a very disappointing experience. Reviewing Words You Have Previously Learned. Okay, now let’s look at another situation; you’ve learned some new words while you were awake, and you want to help your brain remember them while you are sleeping. The research is a bit more promising for this. It seems that for about two thirds of people, listening to words they already know while sleeping did help them remember them better. The brain can process information to some extent during sleep. It’s mostly subconscious associations, which is why it can reinforce words that you already know quite well, but it can’t learn new words from scratch. This is important information and it may be something to try if you are completely out of time during your waking hours. Now, it’s also important to keep in mind that your quality of sleep may suffer. Having an audio recording playing in your ears all night can affect how you sleep; it’s quite difficult to ignore. It can be hard to fall asleep and stay in dreamland throughout the night. Wearing headphones can be annoying and listening through speakers can annoy your partner. In our opinion, losing quality sleep because you are trying to save time during the day is very counterproductive. Having a good night’s sleep alone can improve your ability to recall words you’ve learned during the day. If you plan on using sleep learning for reinforcing words, make sure that it doesn’t affect your quality of sleep. Learning While Awake Is Incredibly Powerful. Obviously, we learn languages much more easily when we are awake. This is very important to remember. Even though you sleep for 8 hours, you can probably learn more in 15 minutes of active learning time when you are awake and using all your senses and brain power to learn new words. Most of us can spare a few minutes here and there during the day. 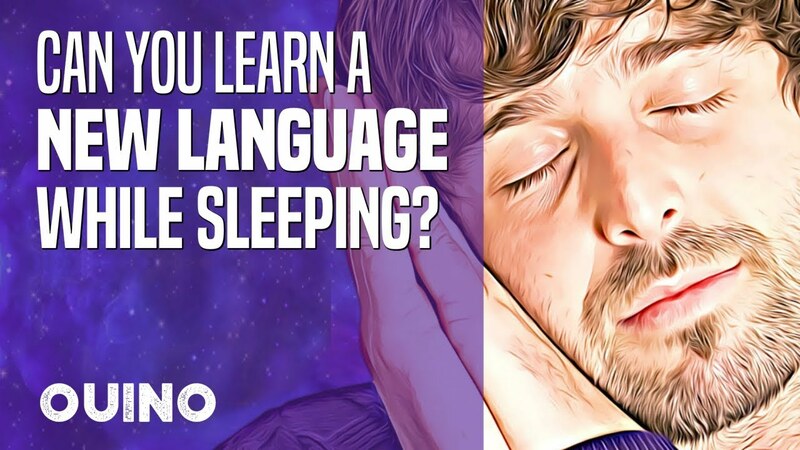 In our opinion, learning a new language while sleeping is kind of a gimmick that sounds awesome in theory, but in reality it’s more of a hassle. But like I mentioned earlier, we are only sharing our own experiences, if it works for you, that’s great! We would love to hear about it in the comments! The Efficiency of Learning Before Sleep. A more effective method for learning languages is to study before you sleep. Research has shown that students who study, then sleep for 8 hours do better on exams than those who study and take the test on the same day. Rest can help you place things in order in your brain. 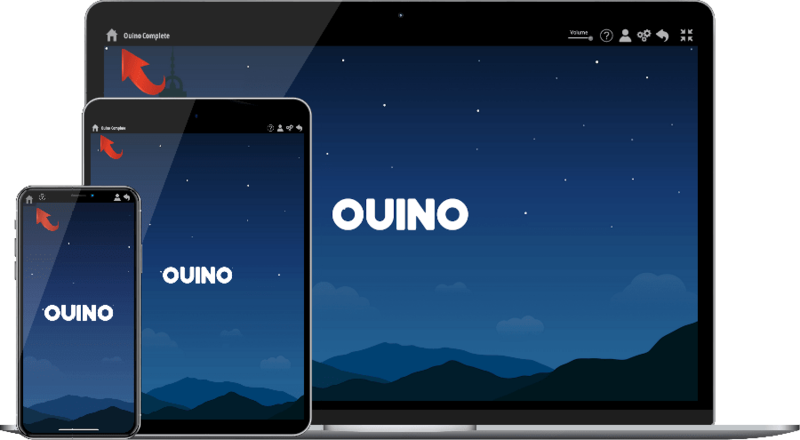 If you can make a habit of completing one language lesson per night before you go to sleep, through the Ouino program or otherwise, you should see great results. Plus, you won’t have to worry about audio playing in the background all night. To sum things up, w e believe that it’s best to try to concentrate on using your waking hours as effectively as you can and make sure that you get a good night’s sleep to recover from your busy day.